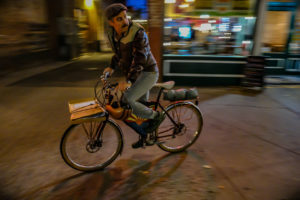 With twice the national average of bikes per household and 117 miles of bike lanes on city streets combined with 50 miles of trail in the urban trail system, Flagstaff residents are bike commuters. More than 5 percent of the population does, compared to .6 percent nationwide. Photo by Brandon Mathis. Don’t write off this gem of a town in northwest Arizona. 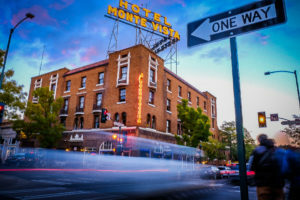 Flagstaff has all you would want for an adventure. Outdoor towns. They’re dotted around the West. 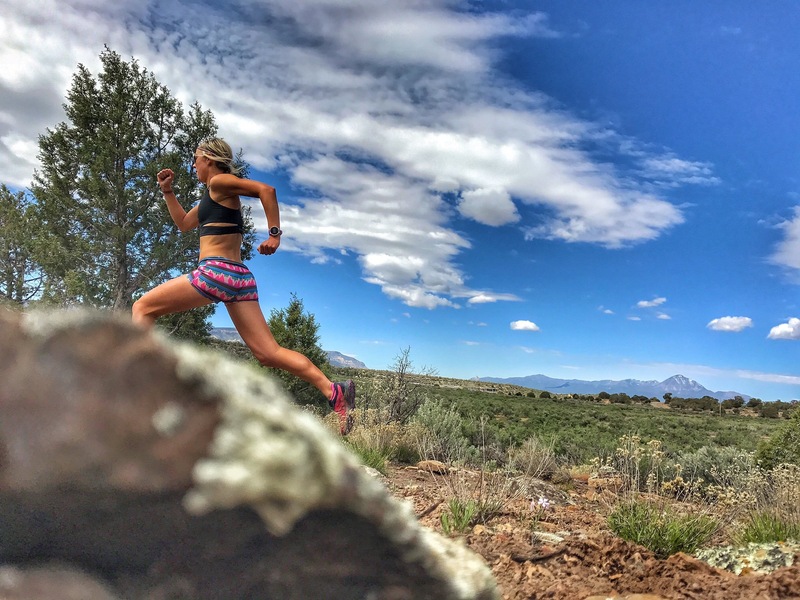 Crested Butte, Moab, Taos … Flagstaff? Yep. Flagstaff. This town rocks. And we are here to tell you why. At 7,000 feet in elevation with the 12,600-plus-foot San Francisco Peaks breathing down its neck, this mountainous ponderosa playground of 70,000 people was founded based on strong lumber and railroad economies. 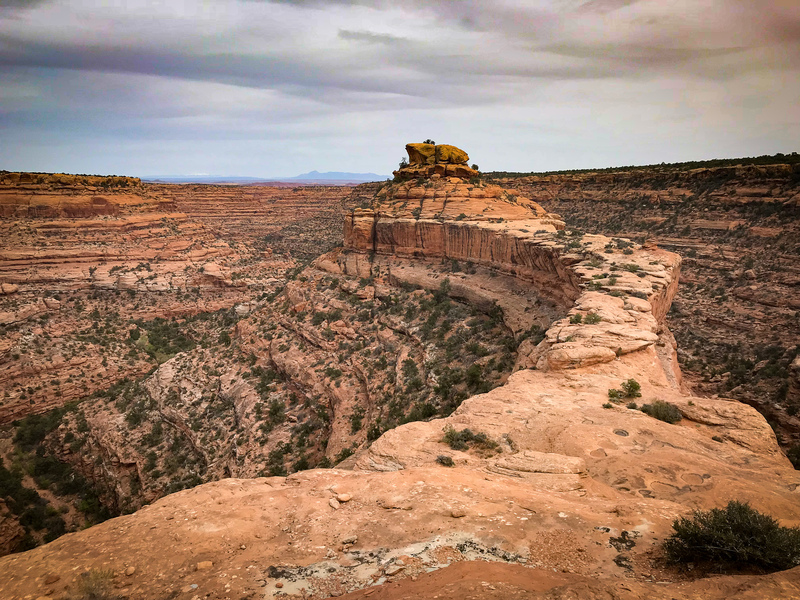 Today, it’s laced with singletrack trails – they are everywhere – and its proximity to more magical Arizona landscapes sets the stage for anything-goes adventures. Not all of those are done in the mountains. It’s true that Flagstaff, Arizona is in one giant forest (see Flag Stats below), but there is plenty of desert nearby. Go 25 miles south and you’re in Sedona’s stunning red rock country. Another 30 and you drop into the Sonoran desert. But the alpine is what throws people off. The San Francisco Peaks – noticeable from just about anywhere in town – are also sacred to 13 different Native American tribal nations in the Southwest, including the nearby Navajo, Apache, Hualapai, Yavapai and Hopi. Arizona powder day. 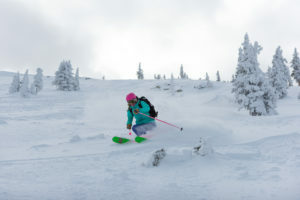 Arizona Snowbowl receives about 260 inches of snow annually over a 2,800-foot vertical drop. Photo courtesy of Arizona Snowbowl. Don’t discount this place as a ski town just because it’s in a state mostly known for its vast desert landscape. Snowbowl, fourteen miles north of Flagstaff, began operation in 1938 and is among the 10 oldest ski areas in the U.S. This mountain drops more than 2,300 feet, among the top 10 percentile in the country. It also offers a view like no other ski mountain. Sitting at 9,300 feet in the Coconino National Forest, you can hike higher for a big mountain vibe. When’s the last time you saw Grand Canyon National Park from the top of a chairlift? With a recent steady stream of multimillion dollar improvements at Snowbowl, winters in Flagstaff are picking up. Three new lifts in three years and more improvements on the way, plus state of the art snowmaking, have all made a difference. Winter 2017-18 – Snowbowl’s fourth driest on record – was also in its Top 5 for skier visits. “You can climb outside all year thanks to the varied terrain and climate,” says Flagstaff climber Matt Gentile of Babbitt’s Backcountry Outfitters. 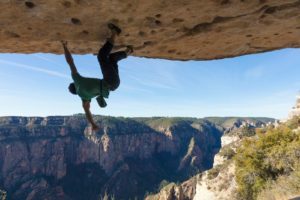 Known as the “Roof Magician” because of his visionary boulder problems – unlikely horizontal ceilings he negotiates with inconceivable strength – Gentile says Flagstaff is the perfect climbing zone because of access. Photo by John Burcham. Reason 3: Can your mountain town do this? 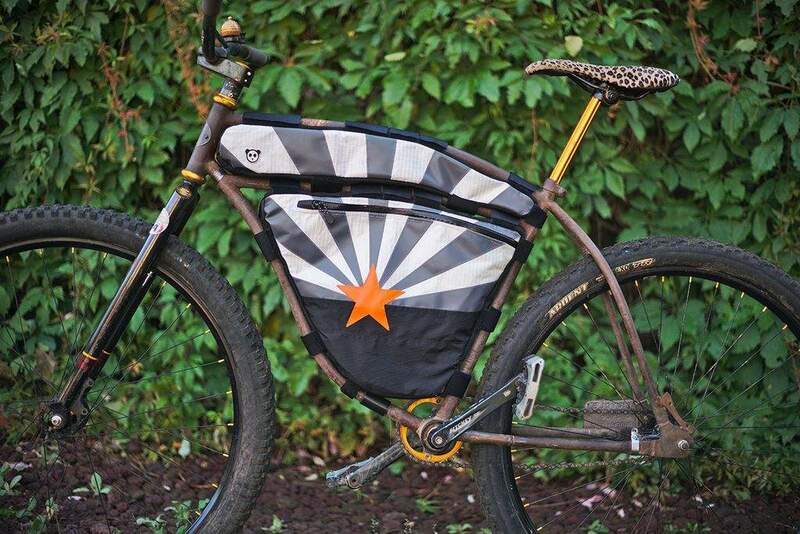 At Absolute Bikes Flagstaff, shop manager Anthony Quintile says the diverse outdoor opportunities, especially biking, is what makes the town suitable for those who thrive on recreation. One of his employees skis in the morning and then mountain bikes home. We’d take that. But it’s not just bike shop employees or some of the 23,000 students at Northern Arizona University who get outside. It’s everyone. There’s an attraction alright. Good skiing, alpine mountains, killer trails and year-round access. It might be love at first sight. 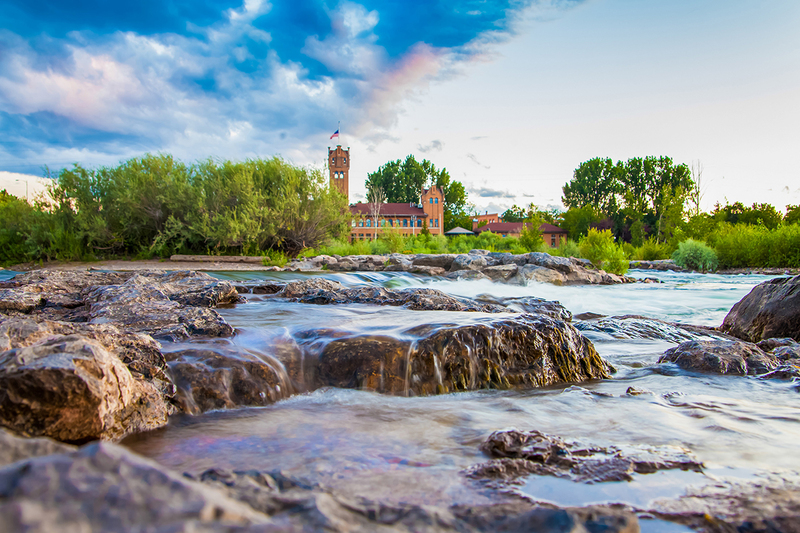 The town is located on the west side of the largest contiguous ponderosa pine forests in the country. The Lowell Observatory is one of the oldest astronomical observatories in the U.S. and was used in the discovery of Pluto. Lunar astronauts trained around Flagstaff, and the mapping for the lunar expedition was done at the Lowell. The Flagstaff Urban Trail System includes 50 miles of trail within the city itself. The San Francisco Peaks are made of a stratovolcano, with Humphreys Peak reaching 12,633 feet. Winslow, Arizona, 37 miles east of Flagstaff, is the site of the Barringer Crater, where a giant meteorite crashed into Earth some 50,000 years ago. The crater is 4,000 feet in diameter and 560 feet deep. With two locations in Flagstaff, we rolled up to The Toasted Owl’s southside location. It’s the kind of breakfast place that reminds you of home. You might have grown up with some of the dishware, and most of it doesn’t seem to match from one table to the next. Everything on the shelves is for sale, and everything is pretty much some sort of owl. The traditional breakfast selections are perfect. We dove into the shadows of this small burger restaurant with its big reputation and ordered the Traveling Wilburys: sautéed cremini mushrooms, a sinfully delicious curry mayo, Swiss cheese and chili flakes. Diablo Burger works with local Arizona food growers and use only organic beef and produce from a 250-mile radius of where we were sitting. We settled right up to the bar that has the look and feel of an old town brewery where stories of old are worn well into the woodwork. 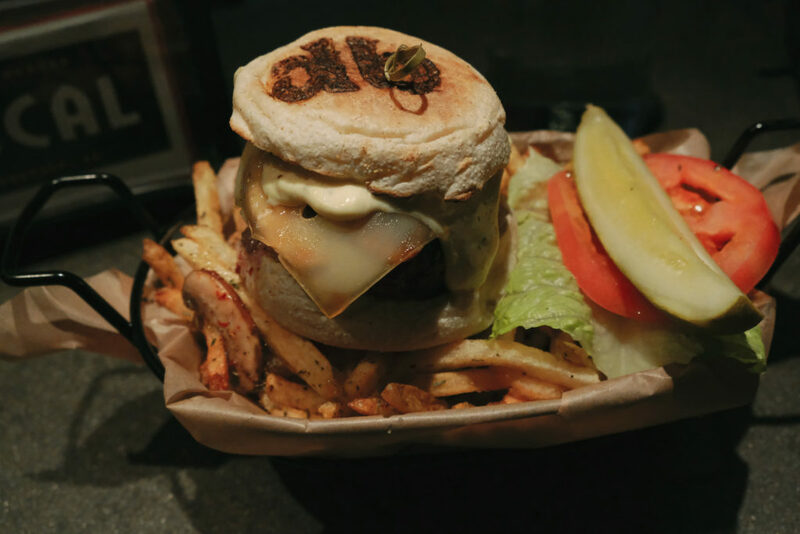 We weren’t planning to eat a burger, but when we saw Flagstaff Brewing‘s Grilled Pear Burger on the menu, that was it. One-hundred percent angus beef, sweet grilled pear slices, blue cheese crumbles and a tasty balsamic glaze. We recommend washing it down with the 7 percent Bubbaganouj IPA. There’s no shortage of nightlife in Flag, but for various pick-me-ups, we ended up at the Rendezvous in the Monte Vista Hotel more than a few times. The White Lavender Latte is downright heavenly (lavender garnish included), and the ambiance in the 1927 hotel is charming, with a long historic bar, terrific people-watching, window seating and intimate dens for good conversation. Part coffee house, part cocktail lounge – it’s a centerpiece of downtown.